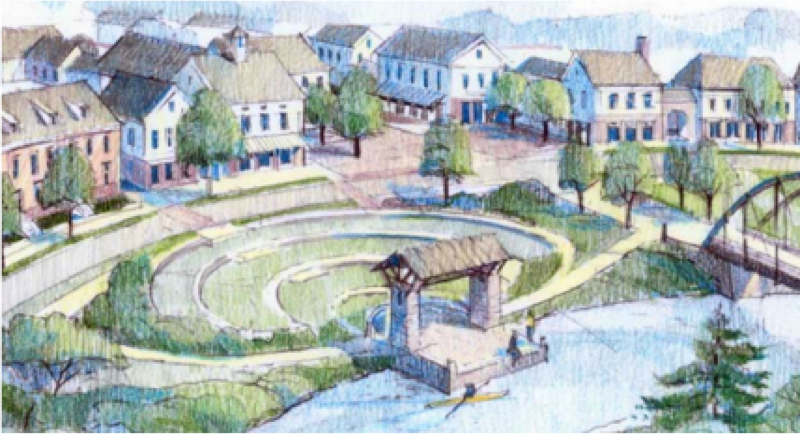 In 2006, the Ada community produced a resident-guided vision for the future of the Ada Village. Then, in 2013, Ada township officials, business owners, residents and visitors joined together in a series of more than 100 meetings and community forums to further clarify that vision. Now, the vision is coming to life. Construction in the Village began on July 15, 2015, seeking to expand retail, residential and restaurant offerings while showcasing the community’s natural resources and creating a more walkable community. The first phase, a realigned Headley Ave, has been completed. New construction has followed and the redeveloped Village is beginning to take shape. The new village development will enrich the lives of those that live here, work here and do business here. We want more reasons for people to come and visit the area, while maintaining the charm and character that has made Ada what it is today. There's a lot happening in Ada with new construction initiatives underway. To stay up-to-date on latest news and updates about what's happening check out our News page, view our construction live webcam, or sign up for our email updates on our home page. 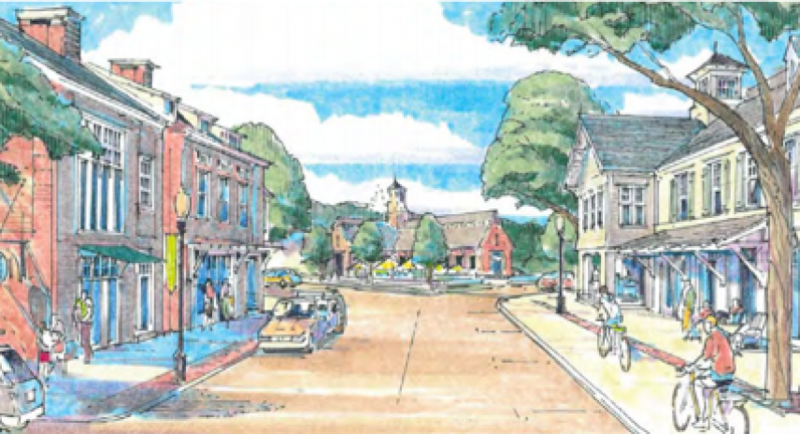 Conceptual plans and drawings have been developed to showcase what the Village could become in the years ahead. 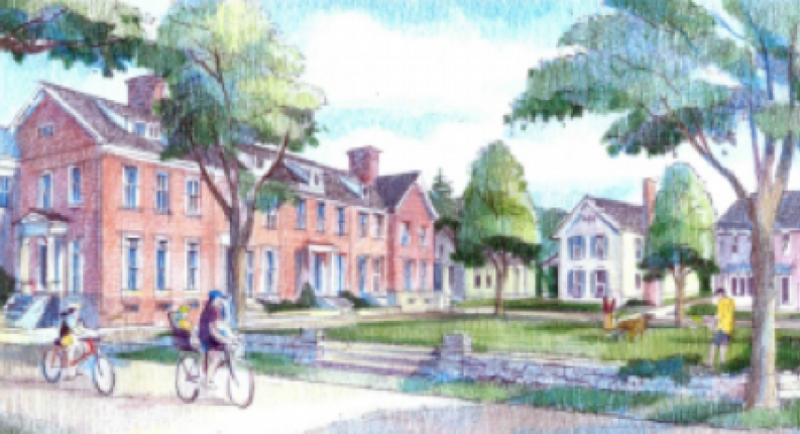 The designs replicate parts of the existing Village that were identified as desirable during community forums and other meetings with design experts. The enhancements to the Ada Village are based on 10 key points that were identified during community forums. Take full advantage of Ada Village’s natural assets – specifically the Thornapple River. Consider a riverwalk and potential trail connections. Identify ways for nearby commercial areas to engage with the riverbank environment. Create a focal point in the heart of the Village that can serve as a community hub and gathering place, and expand opportunities for civic buildings. Ensure roadway corridors complement Ada’s distinctive, intimate village feeling, resulting in slower traffic and improved safety. 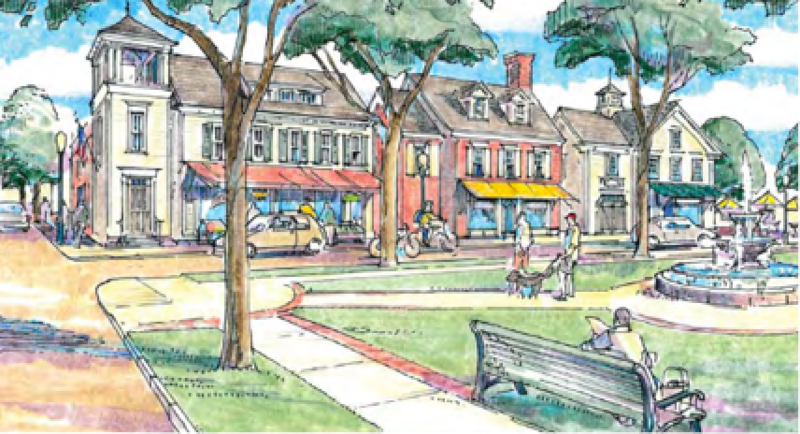 Improve walkability throughout the Village, and create attractive, safe, contiguous pedestrian connections between the Village core and surrounding areas. Encourage building types that preserve the quaint, historic, small-scale feeling of the Village. 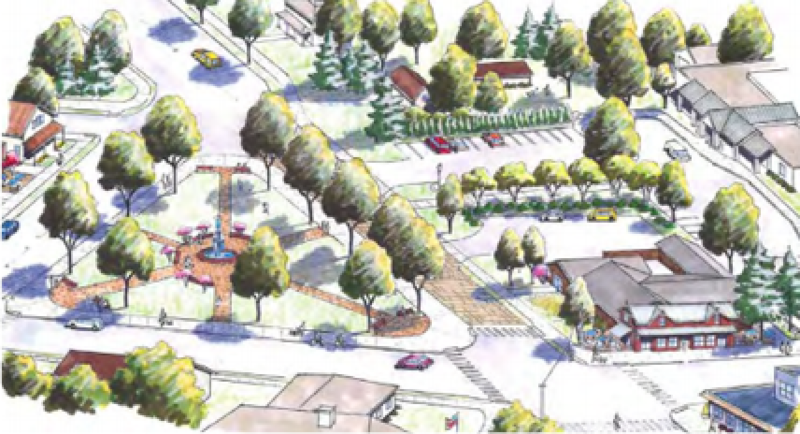 Reconfigure the Thornapple Village shopping center in order to reduce the prominence of parking, provide for more trees and green spaces, reconnect to the river, and encourage pedestrian access and activity. Strike a balance between residential and commercial uses within the Village, and encourage a healthy mix of commercial activity. Encourage shared parking and provide appropriate, village-scale parking options. Expand outdoor recreation opportunities and enhance existing parks and green spaces, connecting them with a regional network of trails and open spaces. Establish standards that ensure the implementation of the community’s vision for Ada Village.